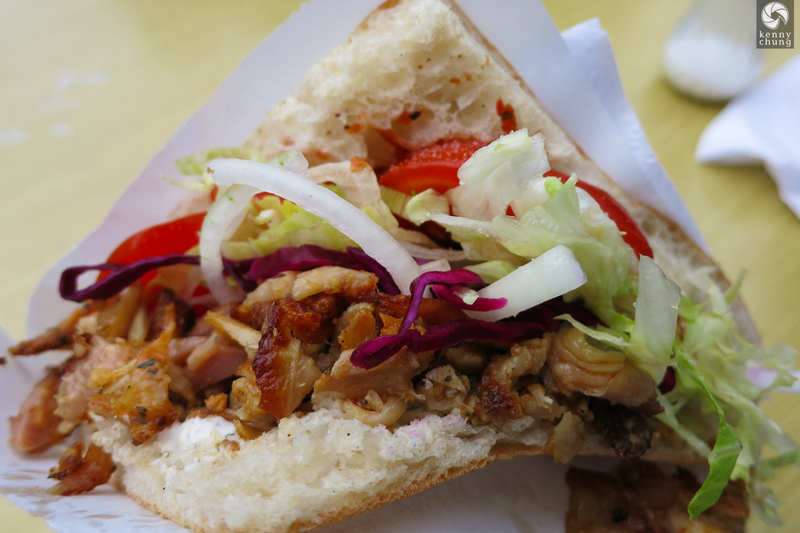 Berlin is known for currywurst and doner, but we found a ton of other different types of cuisine, including American burgers, Vietnamese sandwiches, ramen, and even Italian food. 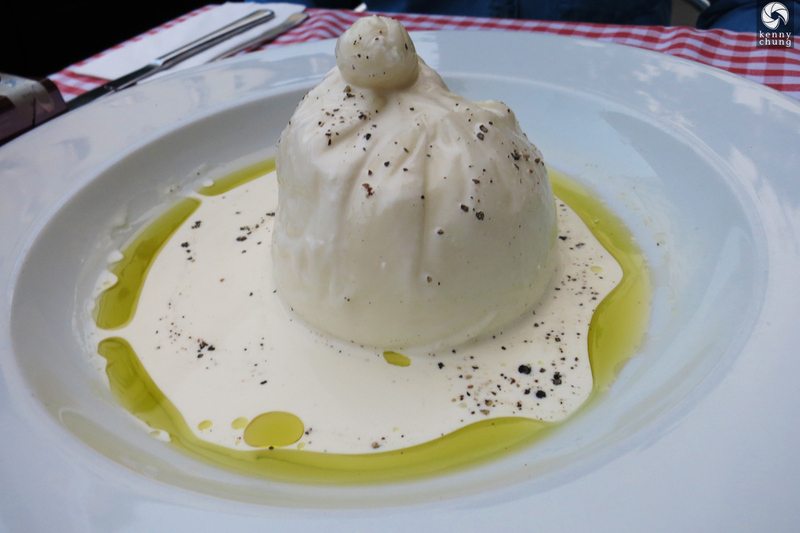 All told, I think Berlin was one of my favorite food cities I'd been to, especially from a cost-to-quality ratio. 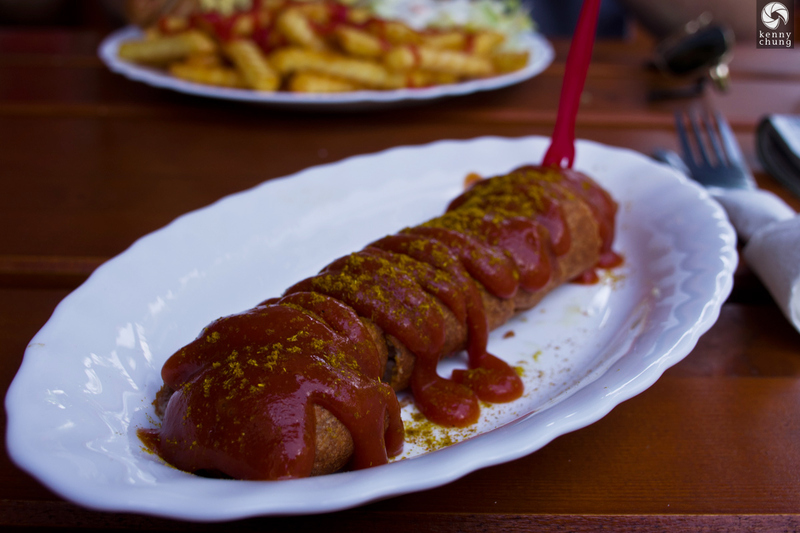 Our first destination after checking into our hostel was to get some currywurst from Curry and Burger, which was very close to where we had to be for our walking tour. Delicious banh mi from Co Co Banh Mi Deli. 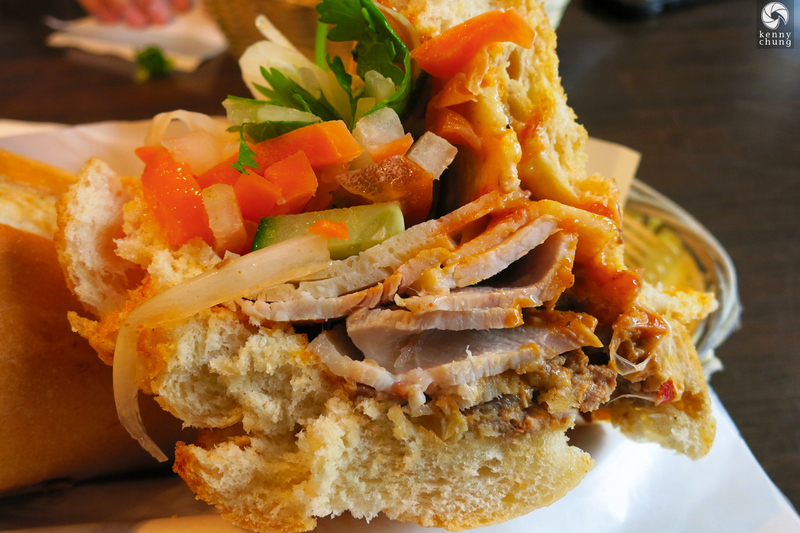 It was pretty similar to American banh mi, except for the inclusion of tomatoes! Yelp review. We couldnt' help but visit The Bird, which was an American style restaurant/pub. 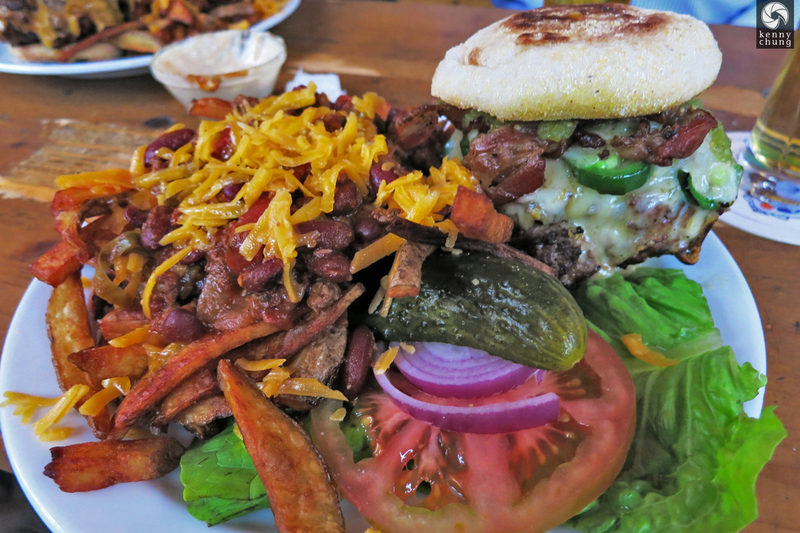 In addition to "Napalm" wings (which lived up to the name), I also had this ridiculous jalapeno bacon cheeseburger (on an English muffin) with a side of "pimped out" fries (meaning chili and cheese on top). Never felt more like an American. Yelp review. 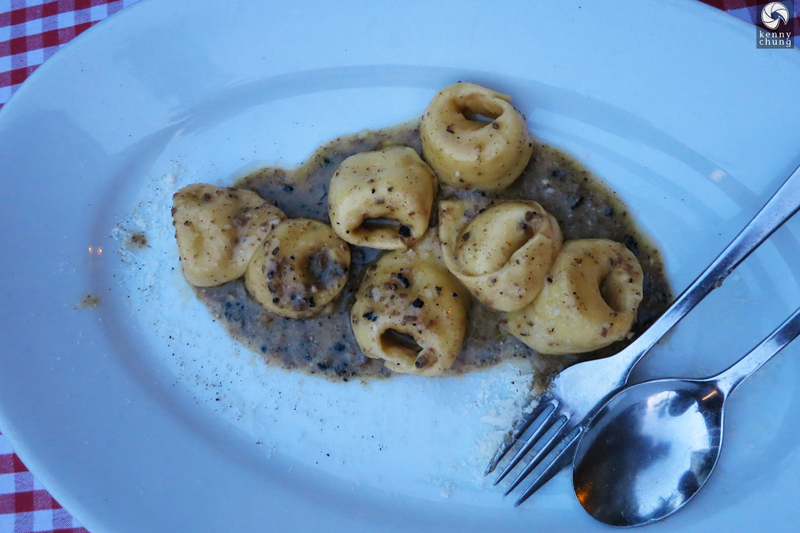 We only did one truly fancy sit-down meal, and it was for Italian food at Goldener Hahn (translation: The Golden Hen). 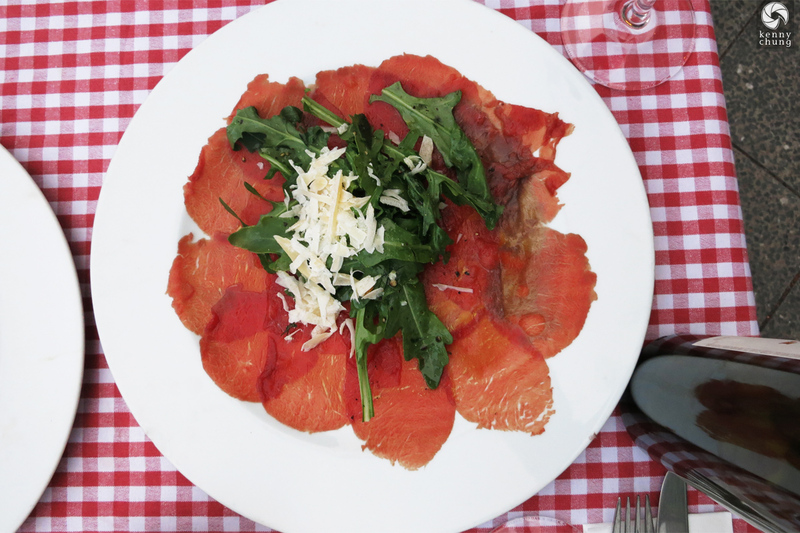 We had a table on the sidewalk and had delicious plates like this beef carpaccio. Yelp review. 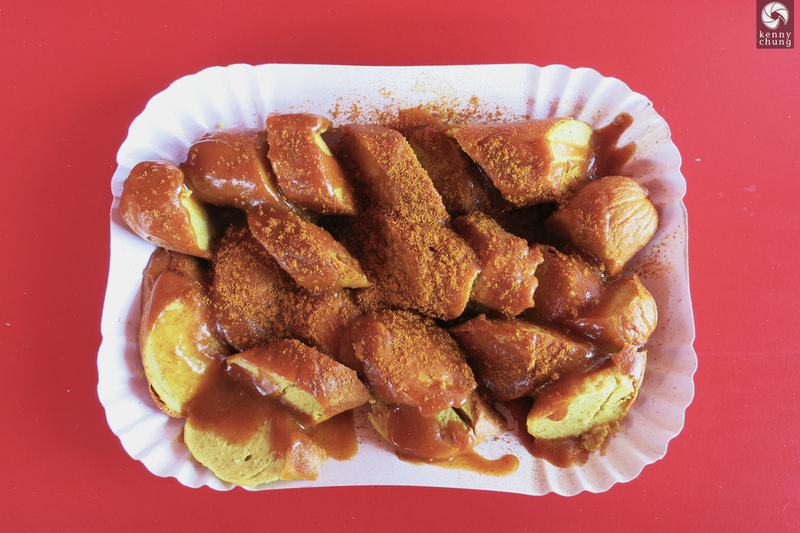 Couldn't leave Berlin without having more currywurst. This was from a shack near the east end of the Berlin Wall. 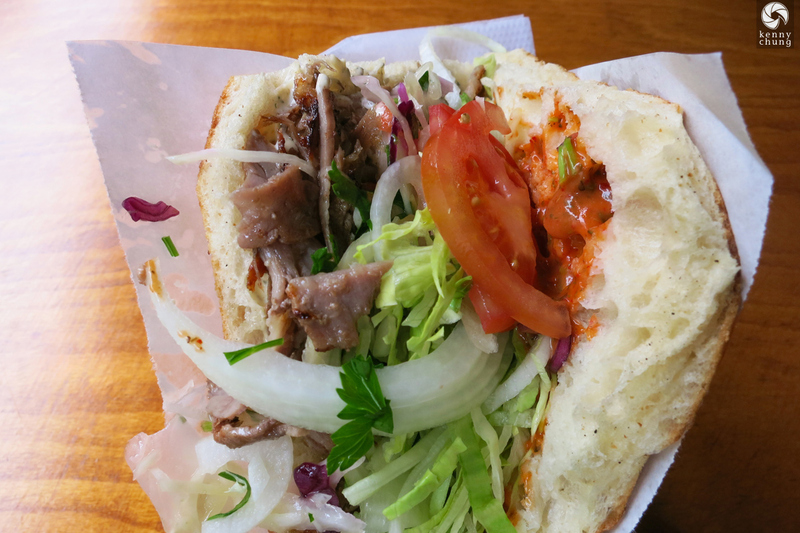 After some online research, we chose Hasir Restaurant to provide us with our first taste of German doner. The doner was delicious! Yelp review. 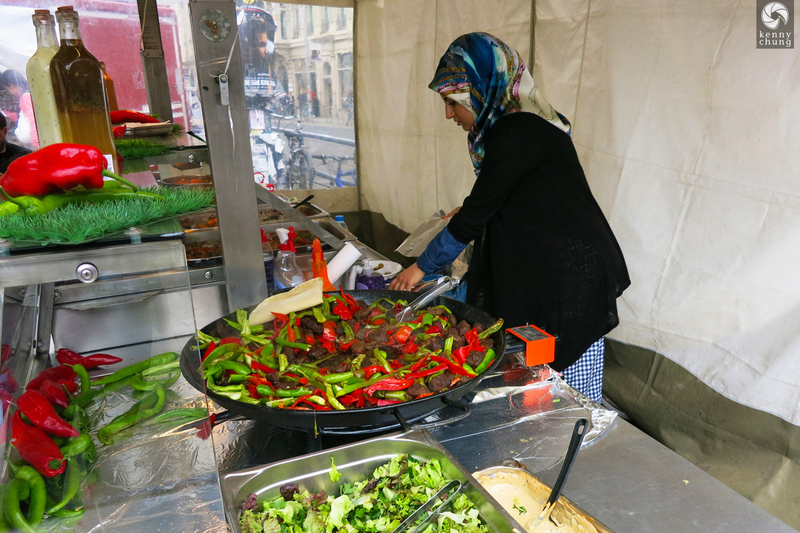 On one of our last days, we happened to stroll through an open market with food vendors. Not sure what this lady was making, but it smelled really good. 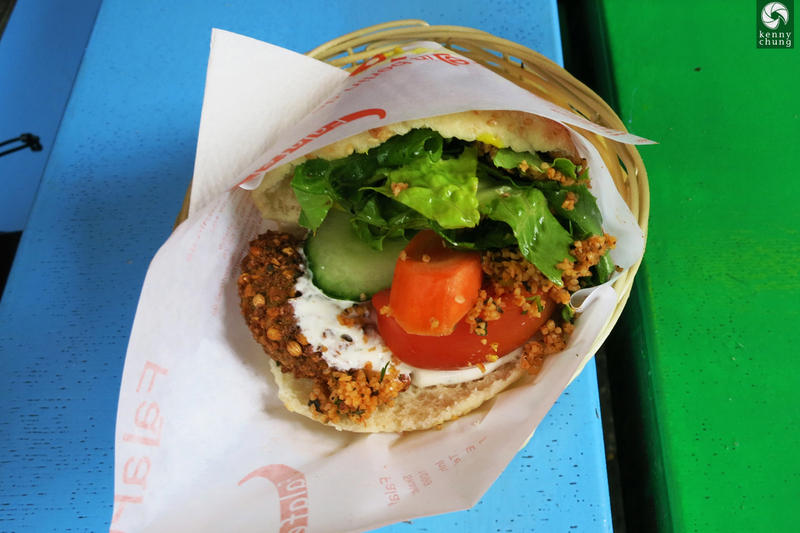 We just couldn't help ourselves and also had falafel from the aptly named Falafelinberlin. It was freshly made, and they included mint, which was interesting. Yelp review. 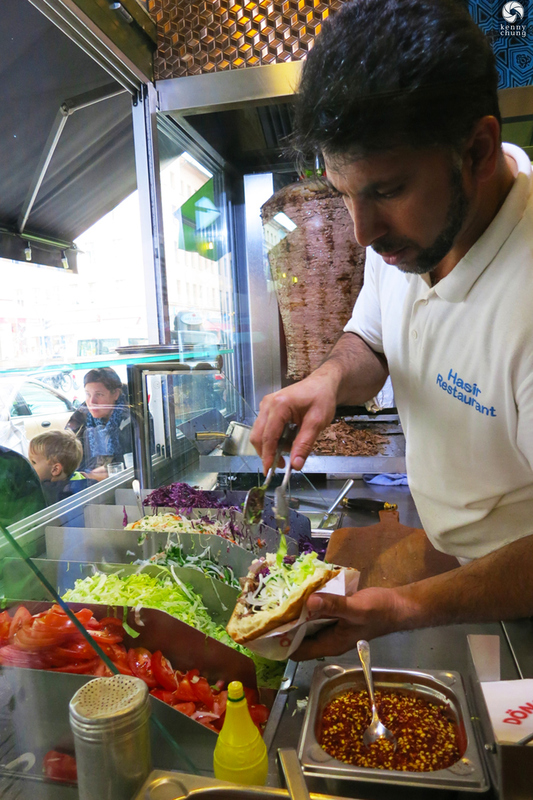 And last but not least, we found a 24-hour doner restaurant near our hostel in Mitte. 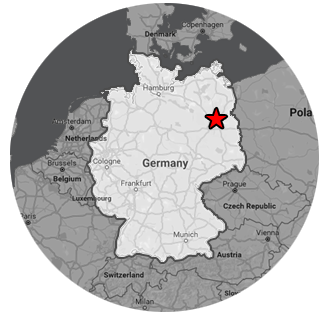 The place was called Rosenthaler Grill und Schlemmerbuffet. It wasn't the best, but after a long night at the club, it was a welcome snack before bed.